Beautifully redone Patio Home in the Heart of Palm Isles. Open Floorplan with 2 skylites makes this home very bright. Pavered Double Driveway with one car Garage. Gorgeous open kitchen with Granite Countertops, State of the Art appliances and upgraded cabinets. Florida Room with sliders to large screened enclosed patio overlooking lake. Two Bedrooms plus Den. Immaculate home must be seen, great location very near Clubhouse behind Manned Guard Gate. 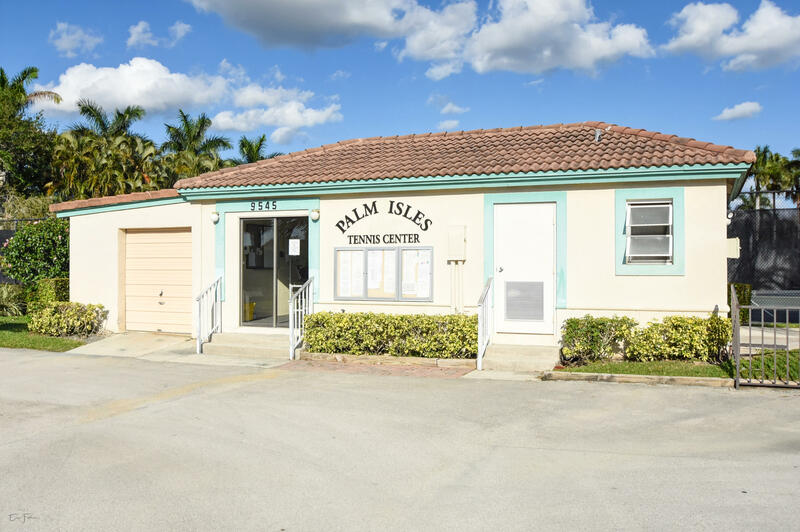 All located in the Community of Palm Isles with its Fabulous Clubhouse. Over 50,000 sq. ft. of amenities including Indoor and Outdoor Pools, Tennis Courts, Pickleball, Exercise, Mens and Womens Spa Facilities, Lots of Card Rooms, 600 Seat Theatre of Performing Arts, Billiards, always something to do. Even a Cafe for Breakfast and Lunch!